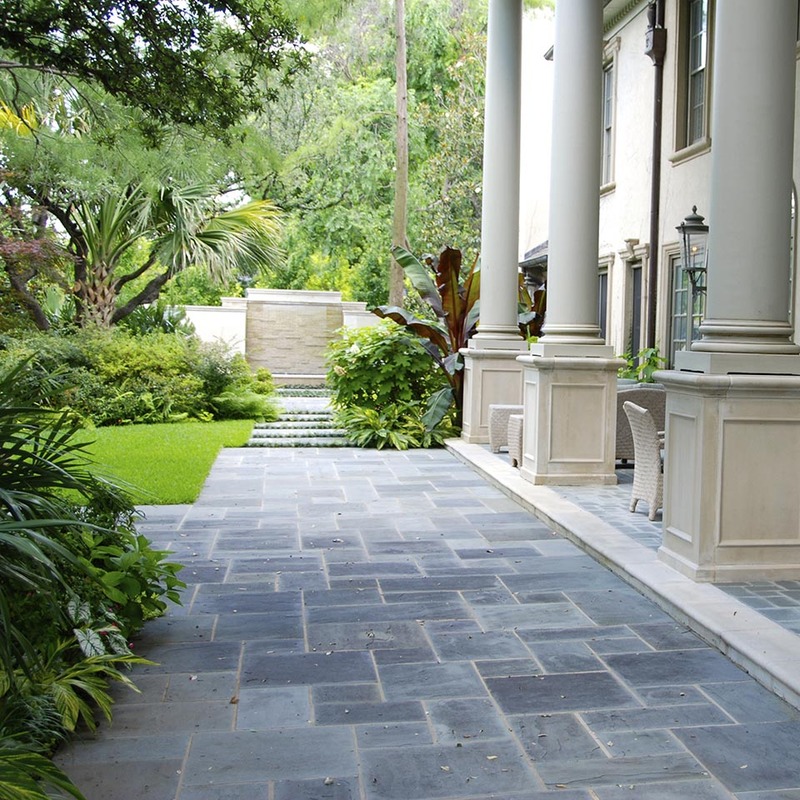 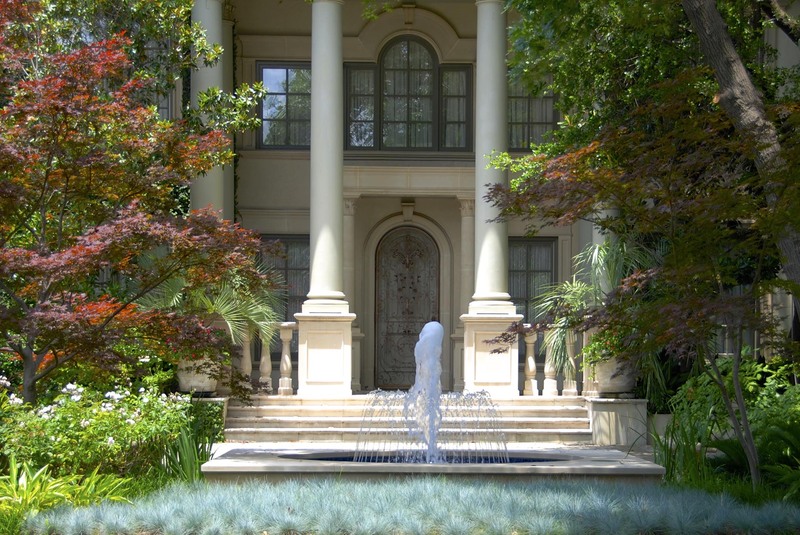 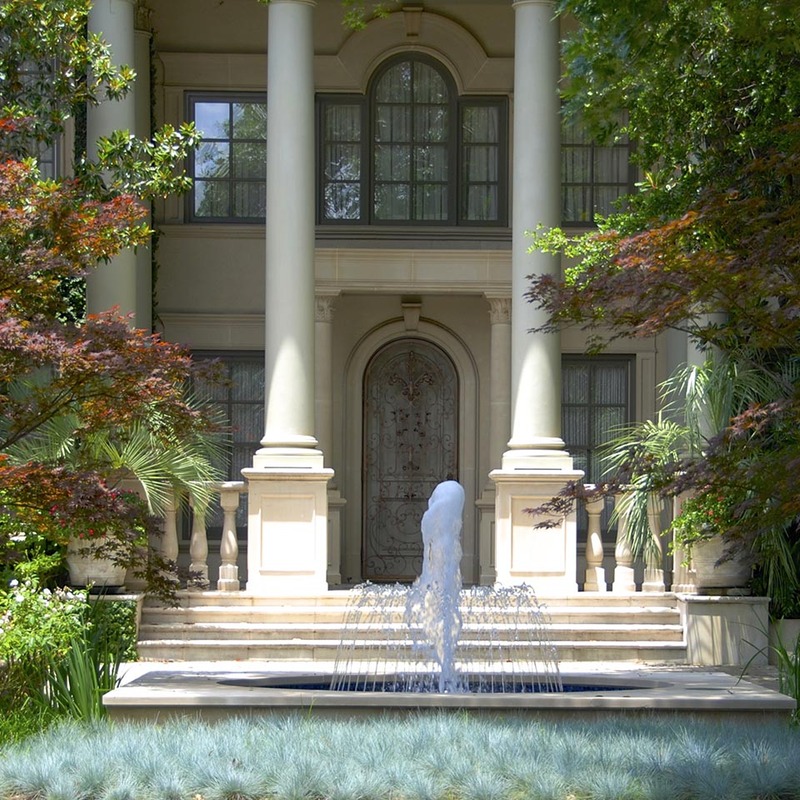 The Landscape renovation of this Classic Formal home has it roots in the deep south. 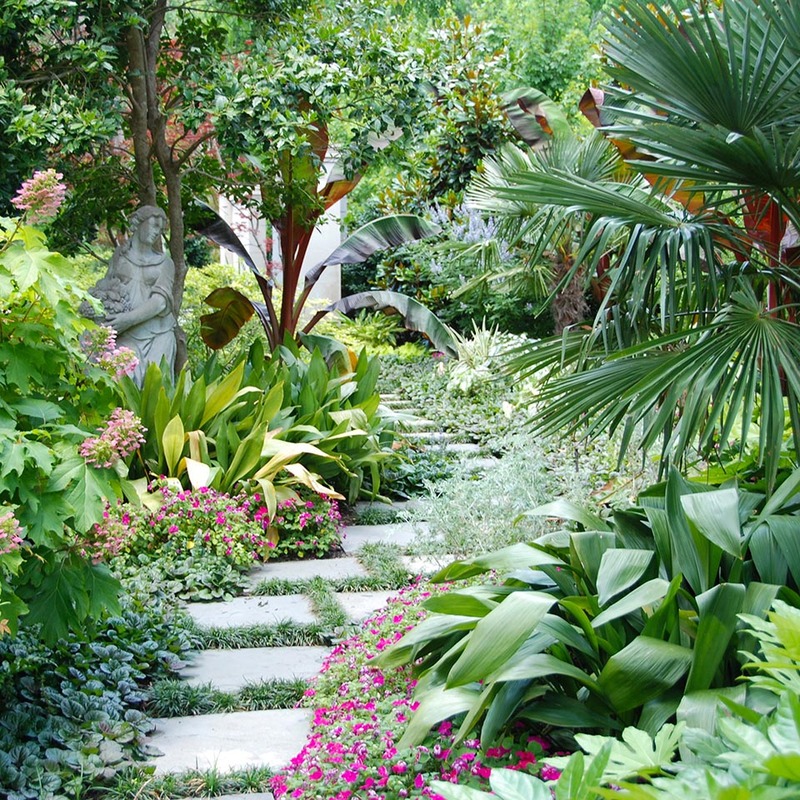 Soft texture plantings with contrasting color foliage were used to create a vibrant and rich pallet for the home. 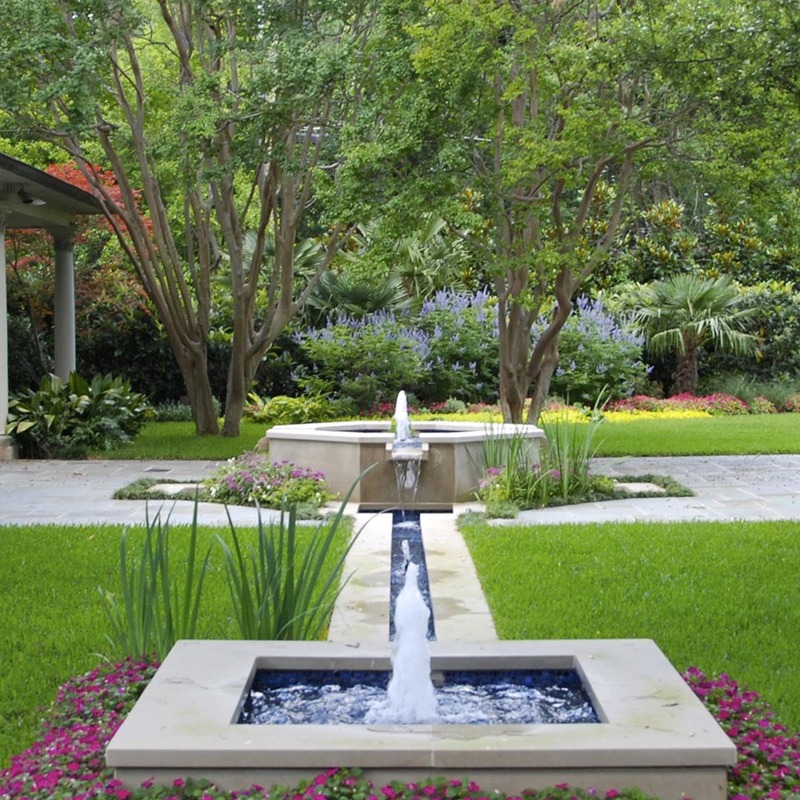 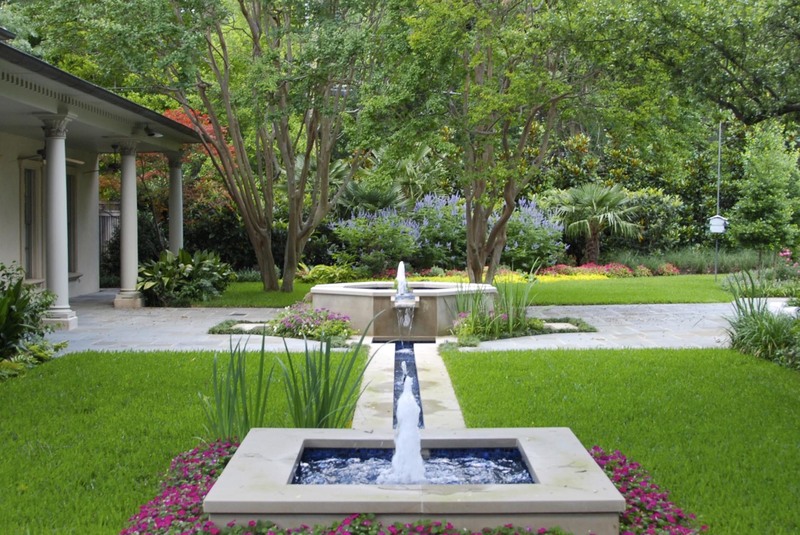 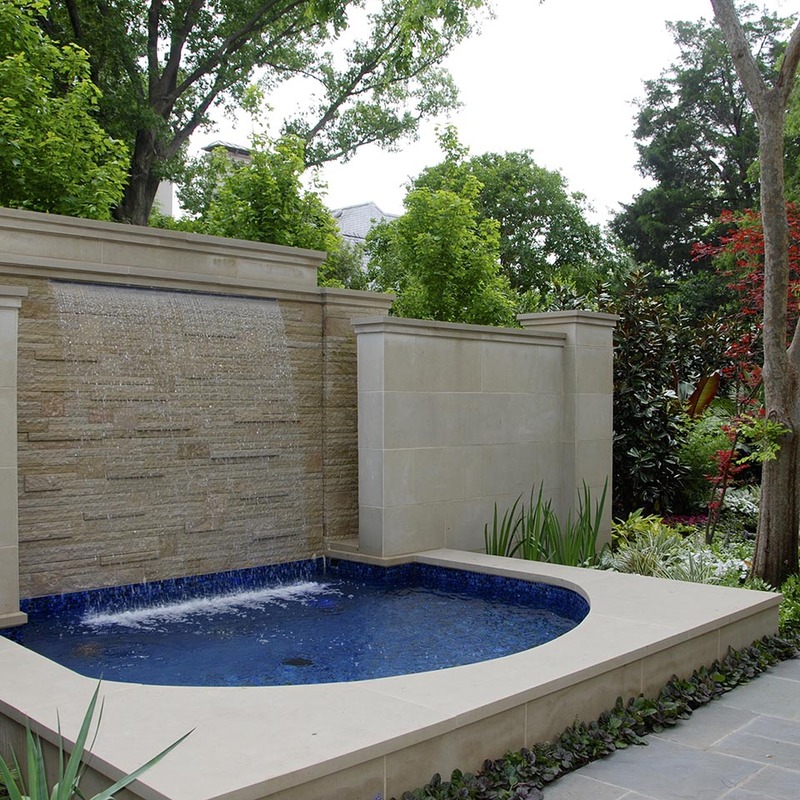 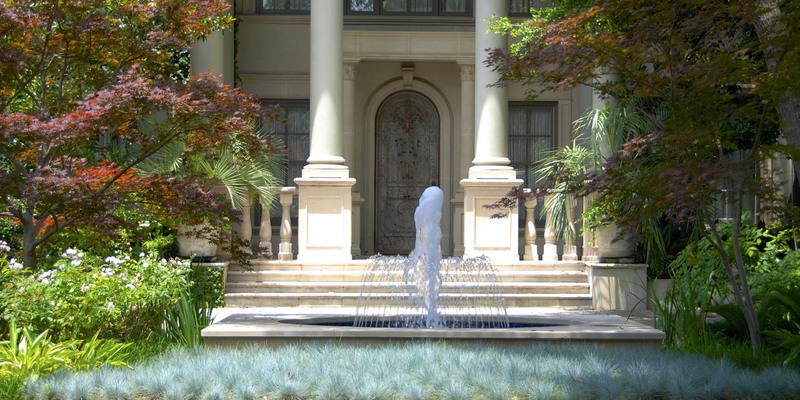 The addition of two water features; a coursed stone weeping water wall and an elevated fountain a with a narrow channel provide points of interest in this strolling garden. 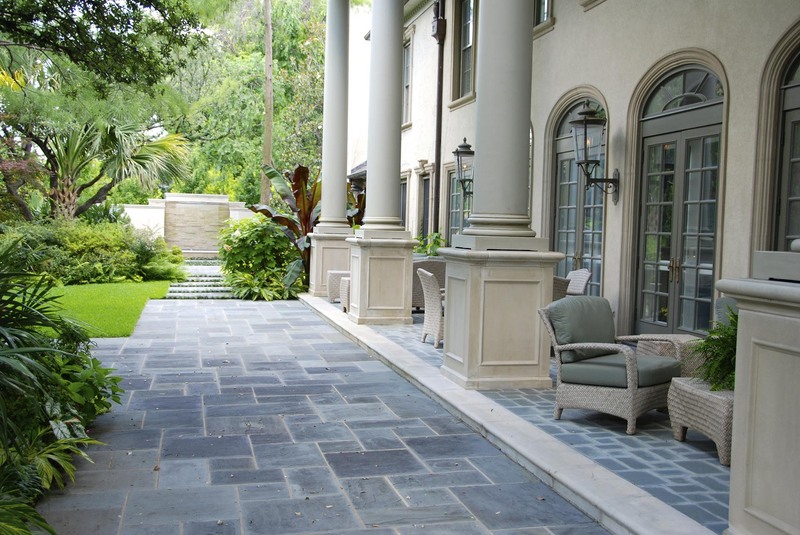 Pennsylvania bluestone pathways and patios provide a cool tone contrast to the various areas of outdoor entertainment. 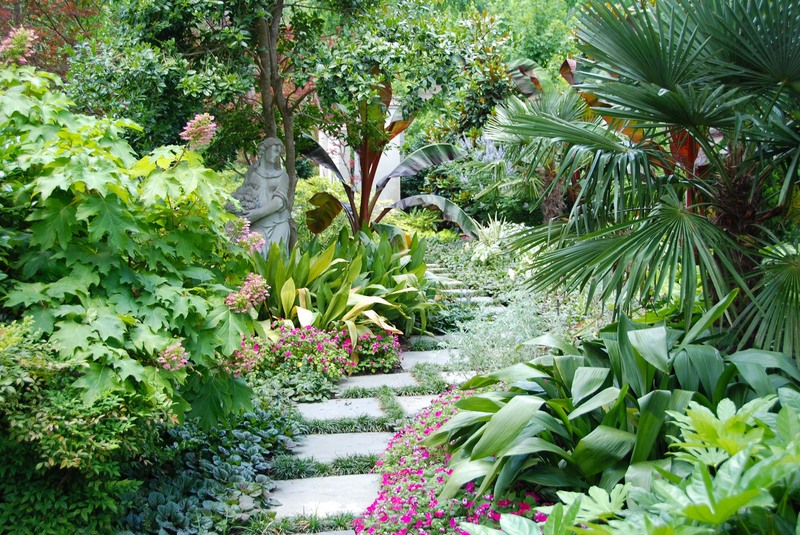 Throughout this shade garden a special menu of accent and understory trees work in concert with the existing shade trees. 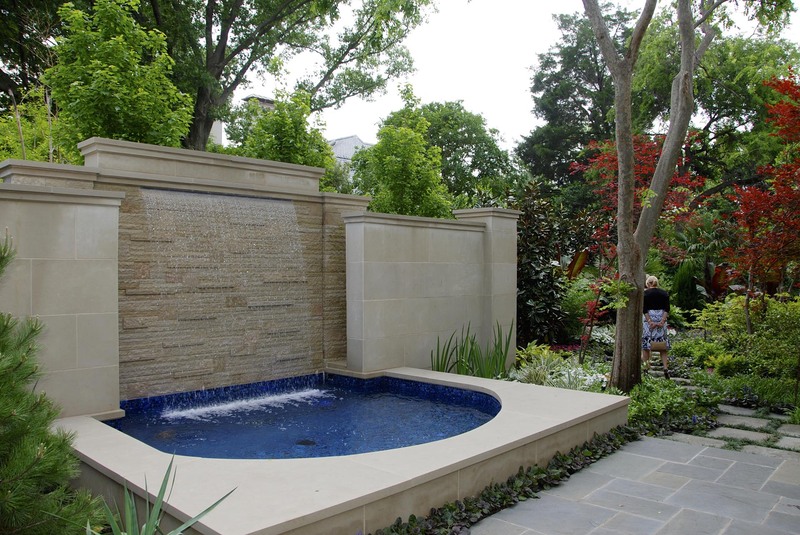 These trees included Japanese Maples, Dogwoods and Blue Atlas Cedars.